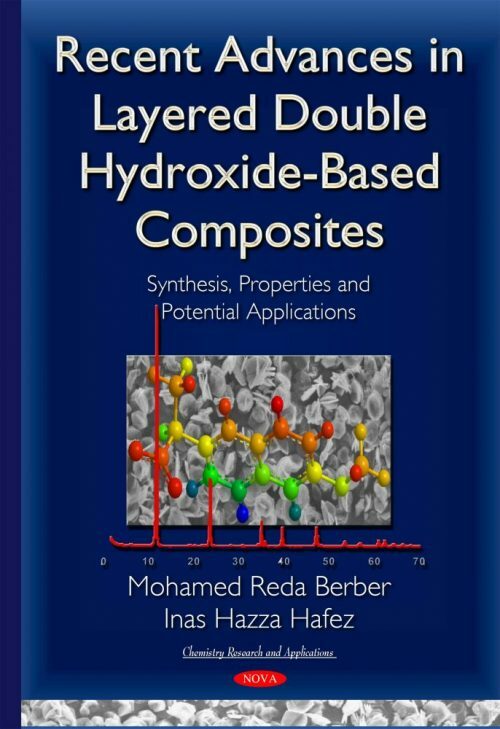 Layered double hydroxides (LDHs) or hydrotalcites are inorganic clay materials with many promising properties. LDHs are a family of natural and synthetic compounds having the general formula [M(II) 1-x M(III)x (OH)2 ](Yn-) • yH2O, where M(II) and M(III) represent divalent and trivalent metal ions, respectively, and Yn- is the anion between the layers. They consist structurally of brucite-like [Mg(OH)2] layers, with a net positive charge due to partial substitution of M(II) by M(III). This positive charge is balanced by the anionic interlayer anion. Over the past few years, an increasing interest has been directed to the use of these clays as host materials, anion exchangers, delivery carriers and additives for polymers in order to create potential products with desirable physical and chemical properties. From the many significant research achievements and the many potential practical applications, it is assumed that the prospects for LDHs and their composites with the different organic and bioactive materials are very bright indeed and still more remains to be done in order to exploit completely their potential applications. Audience: Energy application people, pharmaceutical research people, environmental-adsorption research people and inorganic-organic research people.